When you're working, temperatures can get pretty hot and sticky, which can leave you uncomfortable and irritable. You need to dress right for the occasion. Danner Men's 15556 Brown USA-Made Bull Run EH Boots are the perfect hot-weather footwear for you. Strong a ... (see full details) (see specifications) #DNN15556. When you're working, temperatures can get pretty hot and sticky, which can leave you uncomfortable and irritable. You need to dress right for the occasion. Danner Men's 15556 Brown USA-Made Bull Run EH Boots are the perfect hot-weather footwear for you. Strong and durable, these Bull Run footwear is manufactured with unlined, full-grain leather uppers. The well-oiled, rich leather needs minimal break-in time. In addition it will mold to your feet, providing lightweight, cool comfort for working in warmer temperatures. This full-grain leather is also extremely water-resistant, durable and designed for hard terrain. Delivering all-day comfort, the polyurethane footbeds are cushioned and provide maximum protection from impact. The most dense, durable, and stable midsole material, polyurethane is lighter and has shock-absorbing qualities. In addition, the breathing properties of the material will prevent heavy perspiration in the summer when you have on these EH boots. These 8-inch leather shoes are equipped with fiberglass shanks the force the appropriate break at the balls of your feet to provide you with exceptional support. Constructed with non-conductive electrical shock-resistant soles and heels, these premium shoes meet ASTM F2892-11 EH (electrical hazard) rating. In addition these outsoles provide a secondary source of electric shock-resistance protection against accidental contact with live electrical circuits, electrically-energized conductors, parts, or apparatus. When you put on your Danner Men's 15556 Brown USA-Crafted Bull Run EH Boots, you won't be disappointed. And since they're recraftable, you can easily send them in to replace the outsole, rework the leather, or restitch the seams to give you long-lasting men's footwear. So order your own pair of these dependable work shoes from the Working Person's Store today! I've had these boots for around 2 months. Leather quality is great, much thicker and stiffer than my Irish Setters. Also noticed that they aren't made of 100 pieces of leather, so they'll hold up better in theory. The biggest complaint I have is that they aren't triple stitched. Given that they're intended for work and not play, I don't see why Danner went for double stitching over triple. At the rate the stitching is wearing and stretching, I don't expect these to last long. Would work for lighter work. I currently work in the refinery industry and really need a boot that will stand up to the rigorous conditions and these are it. These boots are very comfortable and wear well. Leather quality is great. Really nice work boot for a really good price. Will definitely order another pair of these boots. Like many other people have stated these boots are stiff, and require a decent amount of break in. Also The sizing is about a half size smaller than my Chippewas, they're a bit short in the length of the boot, so size accordingly. The only Hang up I have is that the lining of the heal and vamp is a fabric which could cause friction, when I would prefer a cotton drill or optimally leather lining but that would make it a bit more expensive. Overall they appear to be a great boot at a decent price. Very comfortable. I am on my feet all day or climbing. I have not had any problems with them. The leather seems to be holding up well as well as the sole. I have back issues and it has not bothered me since I have been wearing the Danner's. Will definitely be ordering these again in the near future. 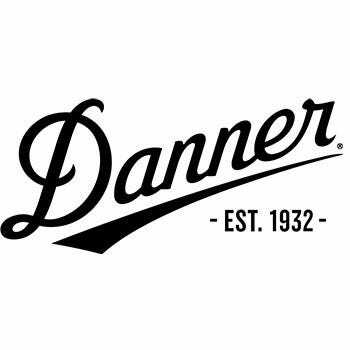 Danner Boots: Men's 15556 USA-Made Brown EH Bull Run Work Boots is being added to your cart.